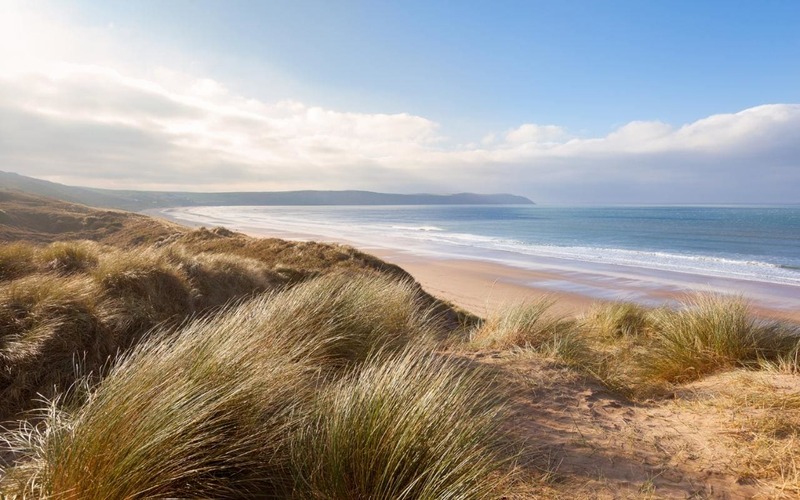 Discover our top 3 private chef recommendations in Devon for your next occasion! 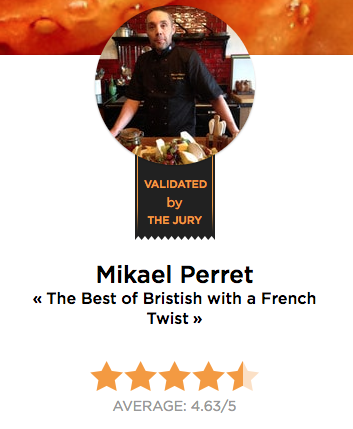 First off is our lovely French chef Mikael, who is based in Exeter. He was born into a Breton family with a traditional cooking background. His grandmother was a head chef, and his grandfather a local baker, inspiring his passion for food. Mikael comes with over 25 years experience in the catering industry. He is classically trained, working in some of the best restaurants in France such as Michelin star Le Goyen, Le Fouquet’s Paris, and Relais Bernard L’Oiseau. He moved to Devon in 2005 and has since gained a reputation for the finest French Cuisine in the South West. During his career he has cooked for many celebrities. Sir Roger Moore, Phil Colins, Stephen Hawking, Margaret Thatcher, and Bill Clinton are to name just a few. One client praised him as a “super helpful, flexible chef”. Another said that his service “really enhanced the whole weekend for my guests”. Next, is Alastair, a Totnes based chef. Robust, yet elegant; local and organic, Alastair offers a ‘wandering’ British cuisine. His food is recognisably British in tone, but borrows from India, the Americas, France, Italy, and Spain. For Alastiar, the focus is always on sourcing the best local ingredients. Furthermore, sustainability is also high on his agenda, and wherever possible ingredients are organic and sustainable. He claims to be as excited by a greenhouse tomato as by a fine beef fillet or native lobster! Alastair squeezes the last ounce of flavour from everything and lets quality ingredients speak for themselves. Alastair has been hired as a private chef across the globe, cooking for a wide variety of events. 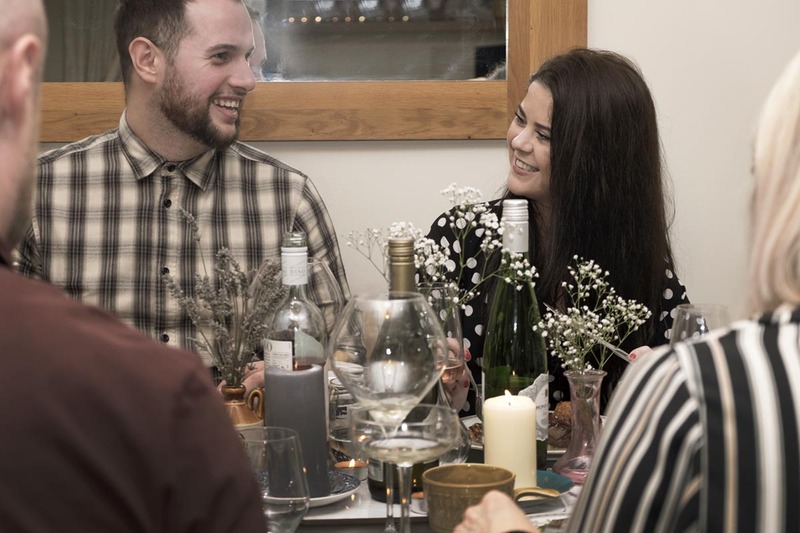 Some of these include shooting weekends for prestigious country estates; corporate team building weekends, and intimate dinner parties in The Pineapple Room in the heart of Totnes. His bespoke menu writing service will have your taste buds tingling. 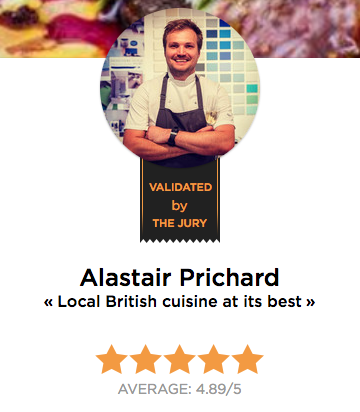 Alastair has been described as an “astounding chef” and his food as “creative & delicious”. 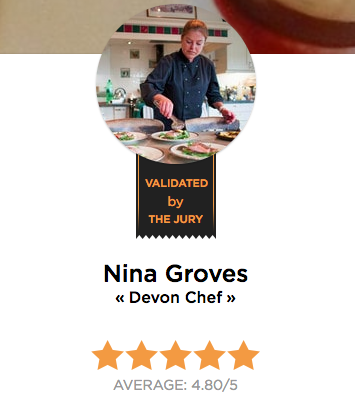 Chef Nina was born and raised in deepest rural Devon. She has therefore been accustomed to the wonderful hamper of delicious fruits and vegetables that delight us all year round. She began her career as a young kitchen assistant in a rural, family run hotel and soon developed her passion for seasonal, gourmet produce. For the past fourteen years Nina has worked as a private chef on luxury yachts. In her travels across the world’s oceans Nina has encompassed international cuisines, channelled alongside her love of fresh fish and vegetables. As a result of this fast paced career, her culinary creativity developed quickly and gave her that special eye for detail, and a unique tasting palette. Other experience has been gained in luxury ski resorts in Italy, France and Switzerland. In her spare time Nina likes to fish, grow vegetables and micro herbs, as well as enjoying quality time with her family. She would like to share her skills & passion for cookery with others and ultimately deliver the incredible food that she similarly enjoys when dining at home or in a fabulous restaurants around the world. Nina has been described as a “marvel” and a “great personality”. Book your favourite Devonshire chef today!